Jet Airways has not been affected as its five 737 Max 8 aircraft have already been grounded - even before the grounding decision of the government -- due to non-payment of dues to lessors. 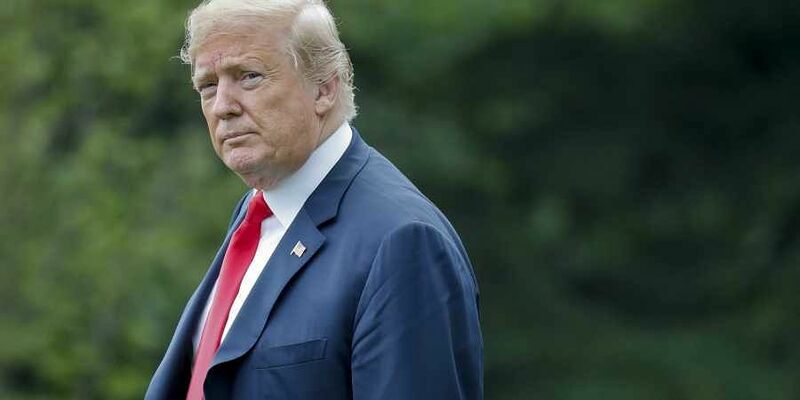 WASHINGTON: President Donald Trump on Monday asked Boeing to "fix" its beleagured 737 Max plane, introduce new features and re-brand the aircraft after two deadly crashes involving the model led to grounding of the jets across the world, including by Indian carriers. Trump's latest comments on the Boeing aircraft came hours after American Airlines, the world's largest, extended flight cancellations into mid-August because of the Boeing 737 Max grounding. "What do I know about branding, maybe nothing (but I did become President! ), but if I were Boeing, I would FIX the Boeing 737 MAX, add some additional great features, & REBRAND the plane with a new name," Trump said on Twitter. "No product has suffered like this one. But again, what the hell do I know?," he said. Last month, 737 Max aircraft were grounded worldwide following fatal crashes involving Ethiopian Airlines and Indonesia's Lion Air, killing all 346 people aboard the two planes. Two days after the Ethiopian Airlines plane went down on March 10, Trump tweeted that modern jetliners are "becoming far too complex to fly". American Airlines decided to extend cancellations from early June through August 19, to help plan ahead for the busy summer travel season. Southwest Airlines last week also extended flight cancellations for 737 Max planes from June until August. "Based upon our ongoing work with the Federal Aviation Administration (FAA) and Boeing, we are highly confident that the MAX will be recertified prior to this time," American Chairman and CEO Doug Parker and President Robert Isom said Sunday in a message to airline staff. "But by extending our cancellations through the summer, we can plan more reliably for the peak travel season." Approximately 115 flights a day will be cancelled through August 19, representing about 1.5 per cent of the airline's total daily flights, they said. All Boeing 737 Max 8 aircraft being operated by Indian carriers have been grounded since the Ethiopian Airlines crash. SpiceJet has been most affected by the grounding of 737 Max 8 aircraft as it has 12 of them in its fleet. The causes of the two crashes involving Boeing 737 Max are still being investigated, but the focus has been on an automatic safety feature that may have forced the nose of each plane lower when it incorrectly sensed the plane was in danger of going into a stall. Investigators are focusing on the plane's anti-stall software, the Manoeuvring Characteristics Augmentation System (MCAS). Boeing CEO Dennis Muilenburg said on Thursday the company is closing in on a fix for the software, and a majority of the 50 customers that have ordered 737 Max planes have had a chance to test it using a flight simulator. He added that the update will make the plane "even safer" because it will prevent "erroneous" sensor readings. "It's our responsibility to eliminate this risk," Muilenburg said. He did not say when 737 Max planes may begin flying again.